What a wonderful way to remember the small moments of life! Make a perpetual daily calendar that can be reused each year and gets better the longer you use it. Elizabeth took her first steps today! - or - Moving into our new home! Imagine what an amazing record this would be in 10 years!? Or call it a blessing box where you write down each day's blessings. A gratitude box, to remind you of what you are grateful for. A scripture box, to add one scripture a day that speaks to you. These would make great gifts this season, not only for adults but also for older kids, baby showers, retirement parties, wedding showers and more. PLUS - if giving this as a gift, you could write something on some of the days yourself, for them to discover! 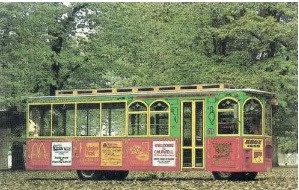 DIVIDERS: You can use old postcards, photos, scrapbooking cards, paint chip cars, wallpaper, children's drawings on cardstock, online printables on cardstock, etc. 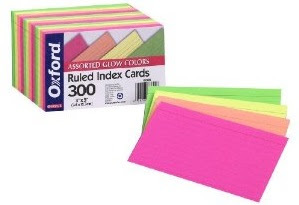 INDEX CARDS: You can buy index cards, or cut up card stock. 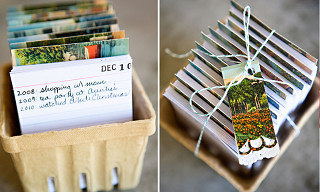 If you want to make your own index cards and not buy a date stamp, here is a template. 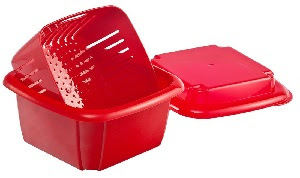 BASKETS: Cardboard or plastic berry baskets, cigar boxes, recipe boxes, square tissue boxes, cheese box, glass container, etc.